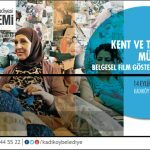 The Kadıköy Municipality Academy brings together the documentaries about the city and the social struggles with Kadıköy. The documentary screenings on which the interview will take place start on September 14th. 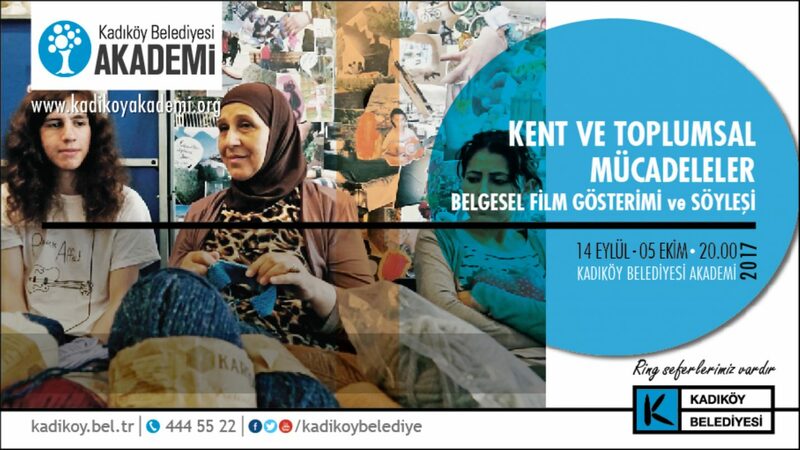 Documentary film screenings and interviews will be held at the Kadıköy Municipality Academy between September 14 and October 5 with the participation of directors, producers and actors, titled City and Social Challenges. Every Thursday at 20.00 the films will be shown with the English / Turkish subtitle option. 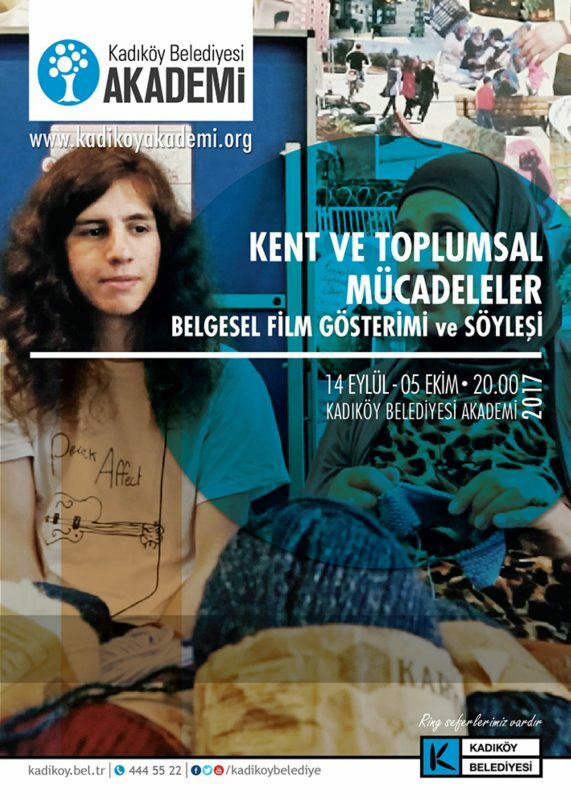 On the days when the film screenings will be organized, service will be provided from TESAK (Former Presidency Building) at 19.00 and Kadıköy Municipality Academy from Gate B of the Main Service Building of Kadıköy Municipality on 19.15. Emek Bizim İstanbul On behalf of our initiative, Senem Aytaç and Fırat Yücel will participate as speakers. Filmin director Mr. İmre Azem will attend as speaker. I am a refugee, here I am! 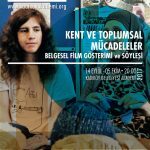 Filminin director Eda Elif Tibet and director / actress Enzo Ikah and Knitstanbul film ministry directors Delizia Flaccavento and Ayşegül Selenga will attend as speakers. Filmin director Can Candan and producer Ayşe Çetinbaş will attend as speakers. * Content and visuals were taken from Kadıköy Municipality web page.